Formed in 2015 by keen gardener and landscaper Jonathan Gregory; The Garden Rangers offer an all-year-round landscaping and garden maintenance service, covering Derbyshire and Nottingham. Customers can be reassured that all staff are carefully selected and have extensive knowledge and experience in both landscaping and gardening – allowing us to bring your outdoor dreams to life. We offer a complete design, landscaping and on-going, aftercare, maintenance package - believing that service and our relationship with the customer, does not have to end after the construction or garden clearance process. 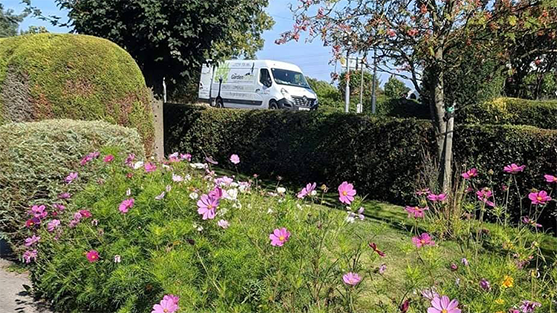 We offer a range of landscaping and garden maintenance services from turfing, fencing and paving to regular maintenance tidy ups that include hedge trimming, mowing and weeding. The Garden Rangers are also now proud to carry the Derbyshire County Council Trusted Trader logo. Being part of the Trusted Trader scheme means as a business, we have undergone checks across the board by Derbyshire County Council - so customers can rest assured their garden is in great hands. 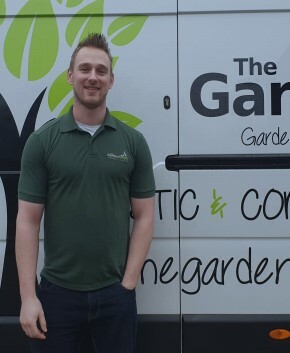 Jonathan is the founder and director of The Garden Rangers Limited – setting up The Garden Rangers as a sole trader in 2015 out of his passion for gardening and being outdoors. With an expanding team and customer base, John’s job consists of the day-to-day logistics of the team, materials and customer relations. John has gained a wealth of experience and knowledge since finishing his University graduate scheme in 2014. The Garden Rangers started out offering small garden maintenance jobs. However, it is John’s consistent passion for gardening that has attracted other local talent to the team. 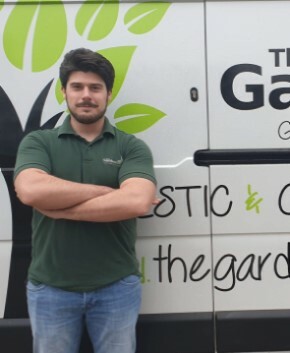 John and his team taking The Garden Rangers from being a small local start-up in 2015 to a reputable recognised firm across Derby & Nottingham. Manuel started his career as a gardener in the north of Italy. He has gained a high level of knowledge and a solid background in gardening and horticulture after doing several specific courses: obtaining a diploma in Garden Design at the Design Academy in Verona, Italy. Values to any business large or small are important, guiding our decisions and attitudes at work. Our values (S.P.I.R.T) allow our customers to view the essence of what The Garden Rangers are about. The safety of our customers and staff whilst working is paramount. We live and breathe gardening, landscaping and being the best at what we do. We are always on the lookout for fresh talent to join the team and bring an extra skillset to our customers. No garden or customer is the same, so we listen and then use our expertise to deliver our customer’s expectations every time. An obvious but important value to highlight that we will always treat our team and customers the way we would like to be treated ourselves. We do the right the thing. In our workmanship, quality of work, pricing structure – we have a reputation and trust to uphold with all our customers new and existing. We are here to deliver the highest quality with every customer, every time. We are pro-environment, educating customers on how their decisions can affect the wildlife and area around them. Shrubs, plants, flowers and natural habitats for local wildlife can be incorporated into any garden – preventing an uprising of a concrete jungle world.